Want to activate boosted brain power on demand? To unlock your inner genius? To exceed your fullest potential with unmatched focus, supercharged memory, and heightened creativity? The most successful people in the world can tap into their	brain’s unlimited power at will. They learn faster, dream bigger and achieve higher. In other words, they get stuff done. And they have a blast doing it! This is what true brain control is all about. It’s time to uplevel your life as you flip the switch on your brain’s true potential with hypnosis. The Brain Power Bootcamp is a one-week intensive, at-home MP3 hypnosis program designed to skyrocket your brain’s unlimited potential – in just a few short minutes a day! Simply download each session, slip on your headphones, and listen. As potent hypnotic and NLP techniques instantly begin “rewiring” your brain, you gain a fast-track shortcut to instant genius and matchless brain power … without having to do any of the “heavy lifting” yourself. Unlock your innate talents, abilities and skills WITHOUT spending hours, or years, practicing, studying, or learning. 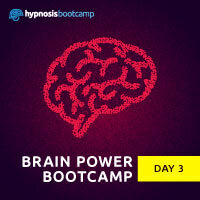 Enroll in the Brain Power Hypnosis Bootcamp today to switch on your limitless potential. 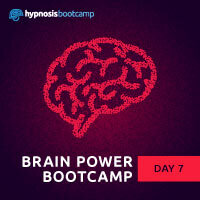 Includes complete 7-day program of Brain Power Bootcamp. 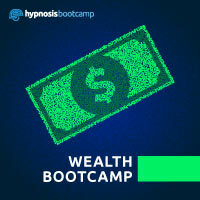 Includes all five bootcamps, including Weight Loss, Wealth, Brain Power, Confidence and Law of Attraction. 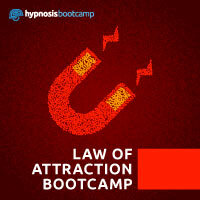 We know that you’ll love our hypnosis audios. Try them out absolutely risk-free. 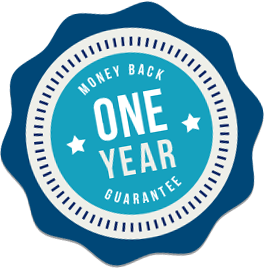 If you’re not amazed with the results, just let us know within 1 year and we’ll issue you a full refund, no questions asked. We promise to keep you happy. One of the most powerful tools you can use to change your life. And all you have to do is listen over the course of a week. I love it! 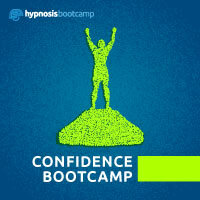 Joe VitaleFeatured Teacher in "The Secret"
The Hypnosis Bootcamp is special, because you listen over the course of a week. The results build, day by day. I've tried it myself, and it's an amazing experience. Becoming a new person has never been easier. I love the way that Hypnosis Bootcamp subtly provides you with a fresh mental framework. Yes, I'm a fan! Bob DoyleFeatured Teacher in "The Secret"
The scientific evidence behind hypnosis should make anyone want to try it out. And the most effective place to start is with the Hypnosis Bootcamp. 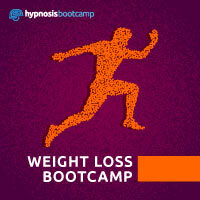 I always recommend Hypnosis Bootcamp to my fitness clients. It improves their results 100x over, all just by listening to a 30-minute MP3. Couldn't get any easier.